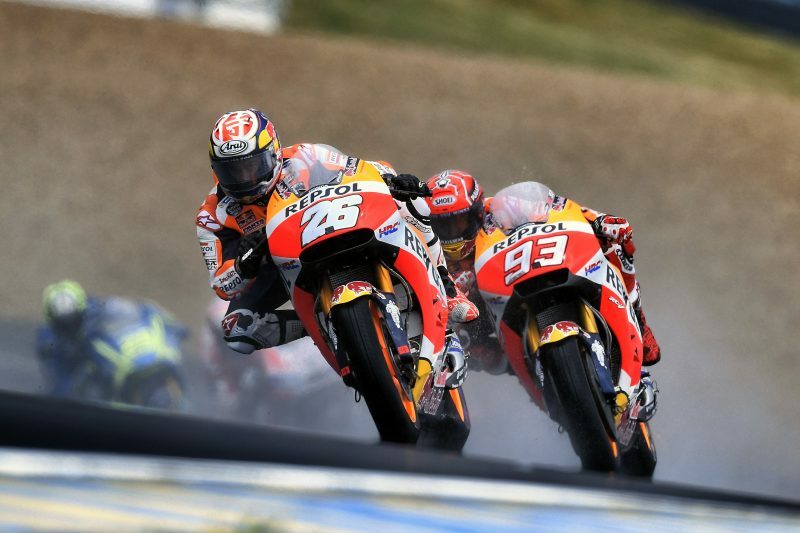 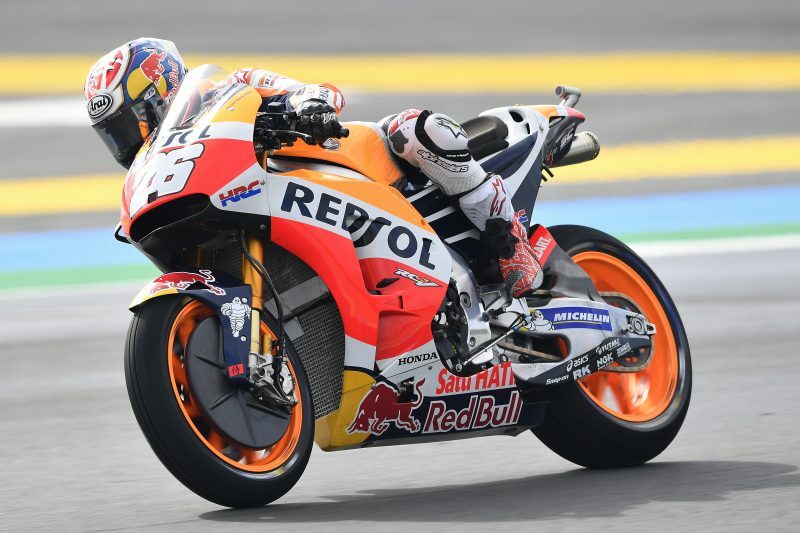 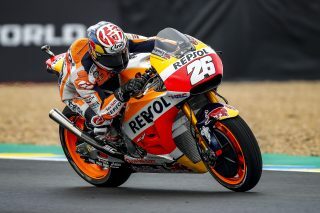 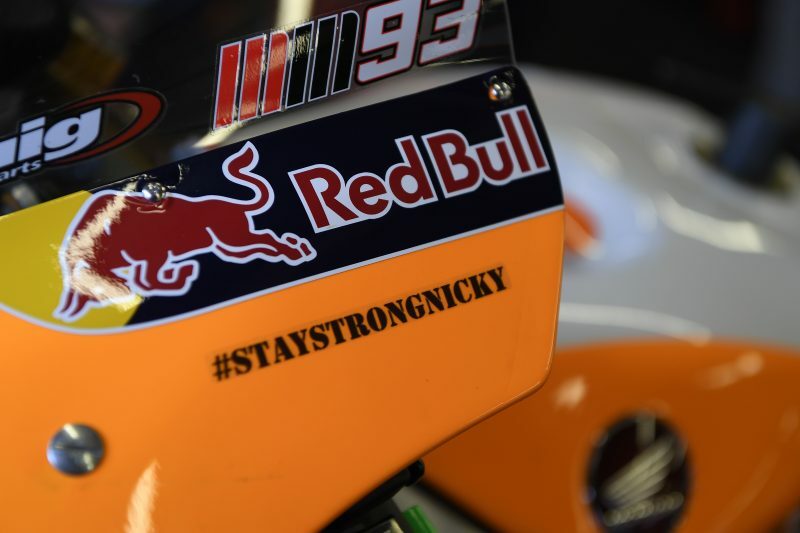 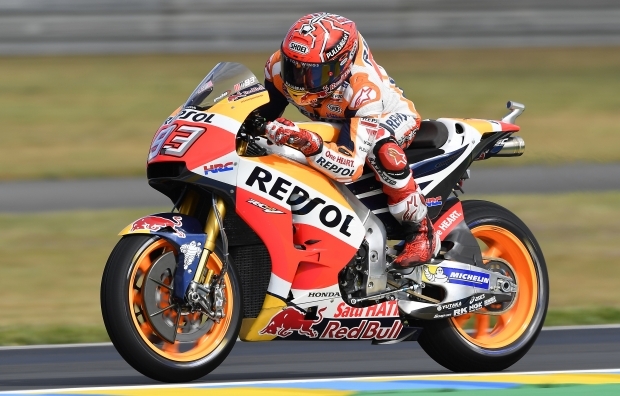 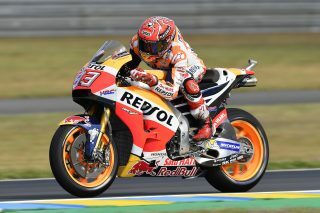 Cold temperatures and intermittent rain showers throughout the opening day of the French GP produced mixed results for the Repsol Honda Team in Le Mans. 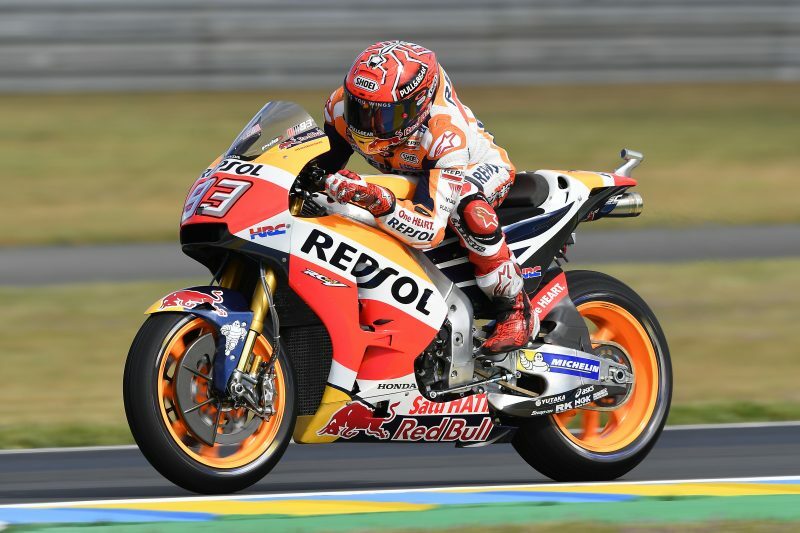 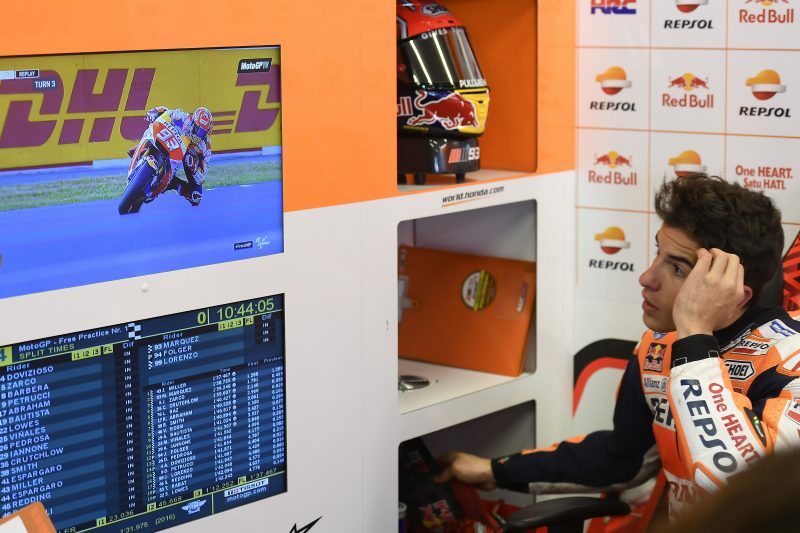 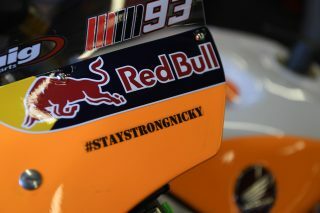 Marc Marquez, who used the new exhaust on both his bikes, was second fastest in wet-but-drying FP1 and then again in fully wet FP2, showing that he is already quite comfortable on his RC213V despite the tricky mixed conditions. 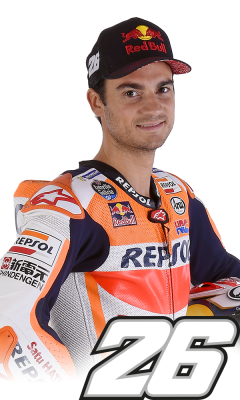 Dani Pedrosa suffered more in the cold conditions, struggling to put temperature into his rear tyre, and he set the 13th fastest time in the morning and the 21st in the afternoon, ending the day 14th in the combined standings. 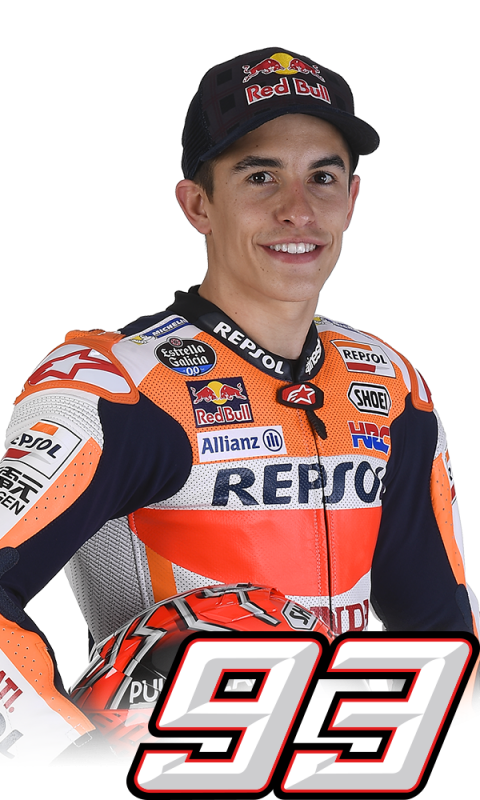 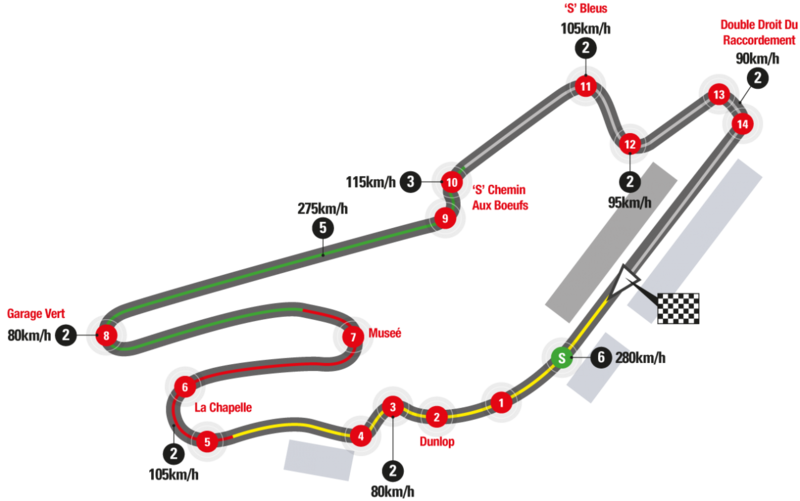 The weather forecast for tomorrow and Sunday is better, and both Marc and Dani look forward to some dry track time in order to best prepare for the race.